Properly securing your computer, smartphone, purse, or other cherished item in public typically means either packing the stuff up and taking it with you or awkwardly asking someone to keep an eye on it while you step away for a moment. But what if there was a way you could comfortably leave those possessions be without worrying about if they stayed put or not? 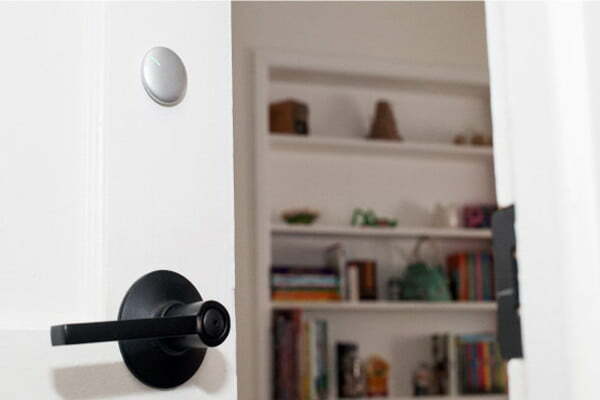 With the new motion-sensing security system called Stilla Motion, which is launching on Indiegogo this week, there is a way. With Stilla, users simply stick the small, round motion sensor on something they want to track — a computer bag, purse, wallet, tablet, etc. — and as soon as it moves, they get a notification via a smartphone application of the movement. Be it a beeping sound, vibration, or image alert, owners have complete control over the kind of notification they receive should the unit be on the move. Stilal is even capable of being programmed to serve as an item finder, boasting speakers that play certain noises to alert the owner of its location. The creators of Stilla even outfit the device with an advanced algorithm capable of knowing when it’s being carried down a bumpy road, for instance. Because of this, the unit won’t just go off after every bump — an outcome that would obviously become very, very annoying over time. The smartphone app also allows for the adjustment of Stilla’s motion sensitivity to allow users to completely tailor the motion-sensing to their liking. Perhaps most impressive about the diminutive Stilla device is that owners don’t only have to stick it inside, or on top, of an item they wish to track — it can also be placed on doors, cabinets, bikes, etc. By using it in this way, anyone would have the ability to easily become notified if someone comes into their home, tries to steal their bike, or gets into a forbidden cabinet for, say, cookies. Early adopters of the Stilla Motion device can secure one for just $29 via its Indiegogo campaign, which represents a 41 percent discount off the retail value. As of this writing, the fundraising had already surpassed its goal of $20,000, with a whopping $32,792 raised in just three days.